Right after college I worked for one of my best friends Katie, the designer and owner behind Sylvia Benson Jewelry. 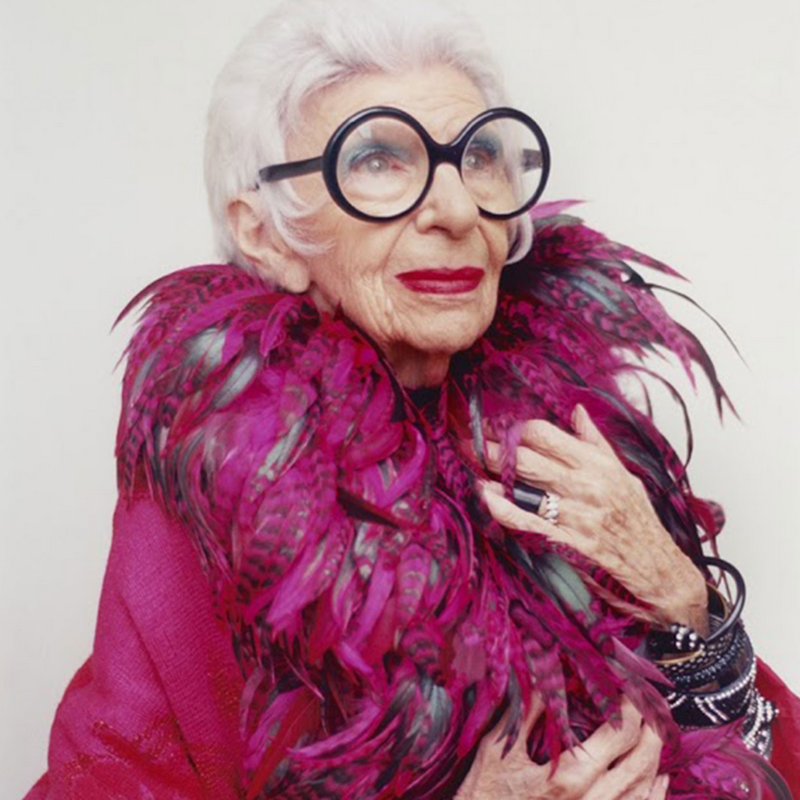 She was the first to introduce me to Iris Apfel and we joked that Iris was Katie’s future self. 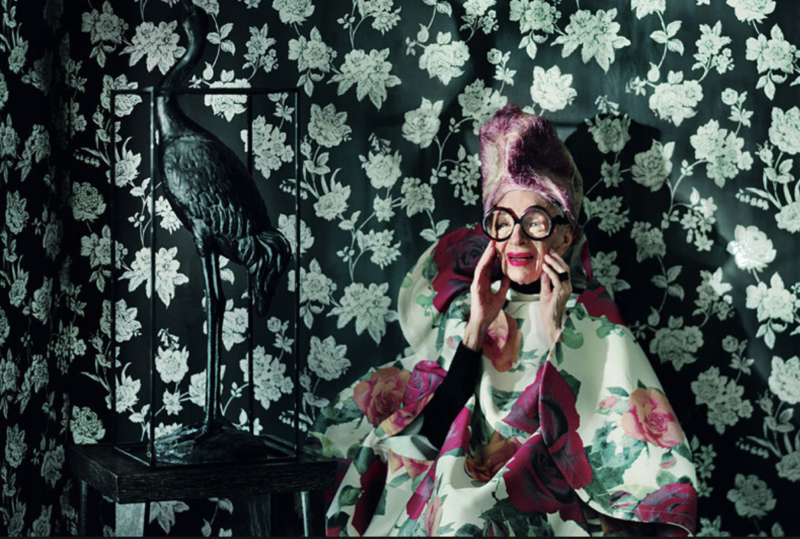 Katie in 60 years. At the time, we barely knew how to pronounce her last name. Was it “app-fell”? Or maybe “app-full”? I think at one point we thought it was pronounced “apple”. The style icon, now 94 years old, is best known for her thick, round glasses and use of accessories – an always perfectly curated collection with one toe over the line to excessive. 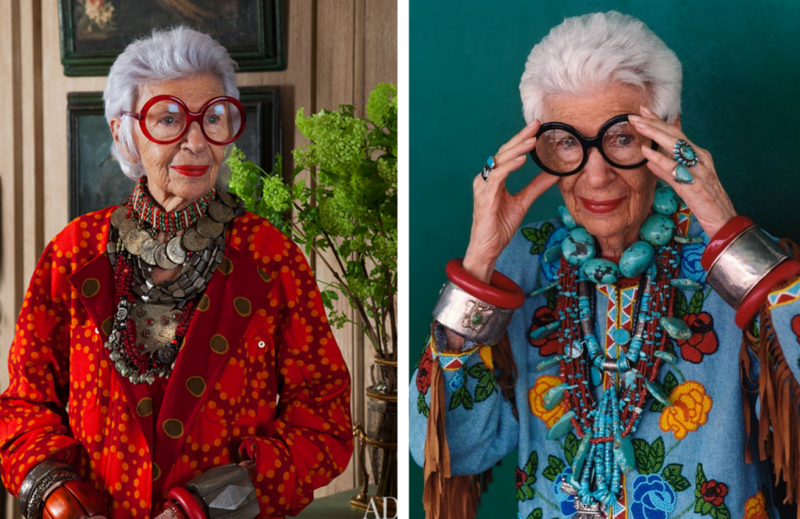 She served as a constant source of inspiration for us and I’ve been a huge fan of hers since. 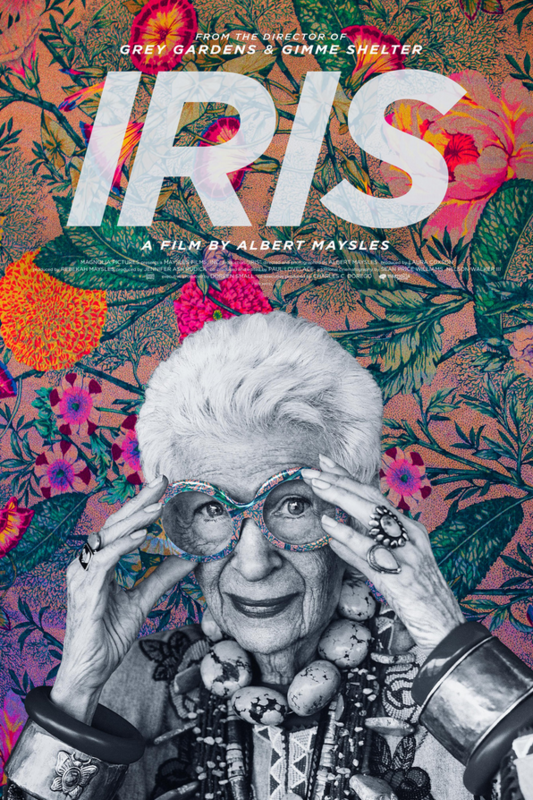 Netflix recently added the documentary Iris and I couldn’t wait to settle in and watch. It was so good. 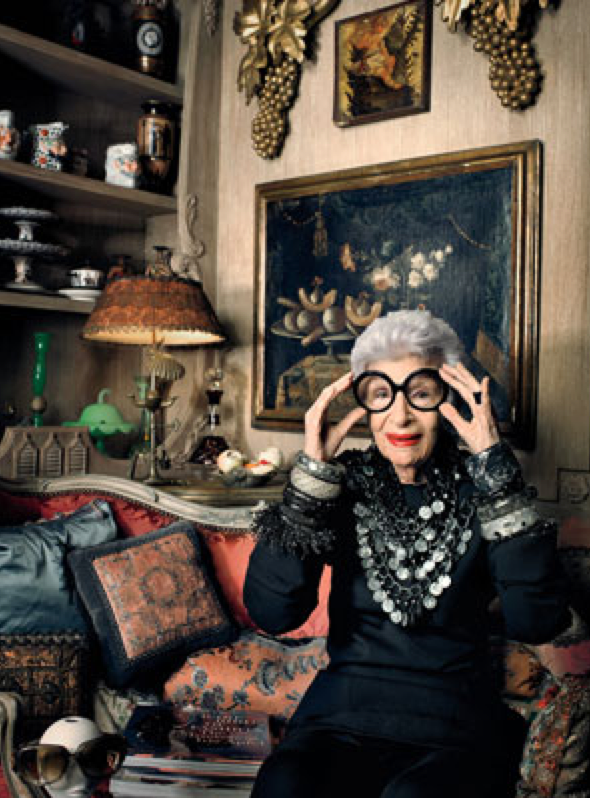 Iris is a nut for sure, but so inspiring and offers up so many pieces of advice that we could all use today. Most importantly, a lesson about being true to yourself. If you have a chance, go watch!